She was determined to be optimistic in the face of death, just as she was eighteen months later after Henry had recovered and she herself was ill. She wrote to her friend Anne Sharp on May 22, 1817 that while “inspite of my hopes & promises when I wrote to you I have since been very ill indeed,” “Now, I am getting well again, & indeed have been gradually tho’ slowly recovering my strength for the last three weeks. I can sit up in my bed & employ myself, … & really am equal to being out of bed, but that the posture is thought good for me.” She was so well, it seems, that she could not think why she was not perfectly well. Jane Austen died 198 years ago today, on July 18, 1817. Quotations are from the fourth edition of Jane Austen’s Letters, edited by Deirdre Le Faye (Oxford: Oxford University Press, 2011). Sarah, what a wonderful, thoughtful set of remarks about that gentle hopefulness which she obviously admired but which, I think, didn’t come easy to her. A wonderful companion piece to the ‘ambition’ comments, also. Like that one, it is about to make me drop what I am doing and go back to her letters. Thanks so much, Nora. I think you’re right that it didn’t come easy to her. I love what Marsha Huff said about the letters (in the JASNA Newsletter a few years ago), about the pleasure of becoming “fluent” in the letters. She writes that “the events described by Austen seemed contemporaneous and vital, as though they had just happened and I was the first to hear her account of them.” Happy reading! I had never researched syringa before. I have heard Jane’s quote so many times that I am surprised that I have been ignorant about syringa for so long. Your photo, while not syringa, prompted me to google it. I was very surprised to find it is in the lilac family! 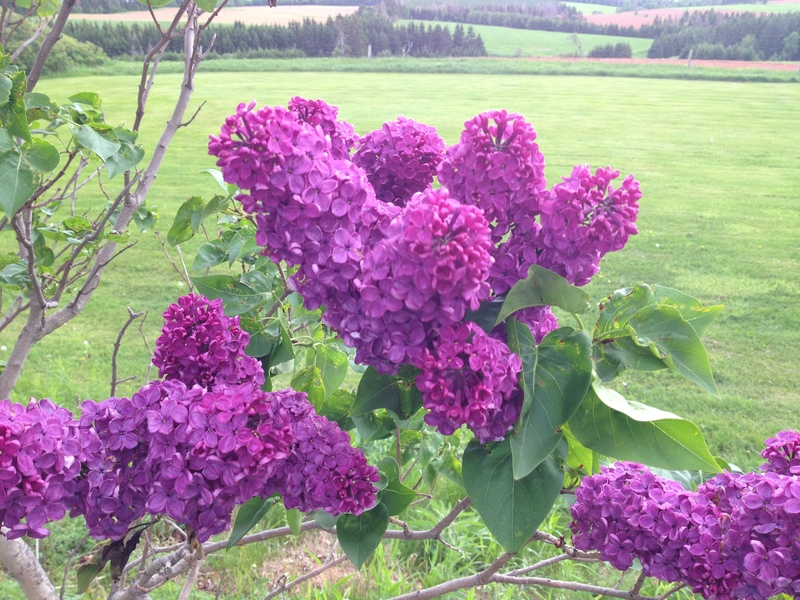 I have always loved lilacs! What a pleasant surprise! Thanks, Sarah, for giving me the push I needed to check this out! My pleasure, Joan! Perhaps someday I’ll find the perfect “iv’ry pure” syringa and take a picture. I love the idea that literary references inspired Jane Austen’s plans for her garden. Sarah Emsley shares some of Jane’s words of hope on her blog today. Thanks, Mary, for sharing this piece with your own readers. I appreciate it. The irony of course is that “the best” hoped for is that Fanny will accept Henry’s proposal. Very interesting indeed, Arnie. Thanks for drawing attention to the phrase in MP. I suppose we “have all a better guide in ourselves” that will tell us what “the best” is. Thanks, Sarah. I had a chance to go back this morning and read that passage in the context of the whole letter— I think you have taken the passage out of context–there is no real worry at all about Henry’s being ill — what Jane is doing, in an entirely ironic tone (very similar to her ironical reference in an 1813 letter to Alexander Pope’s ironic line “Whatever is, is best”) is mocking Henry’s hypochondria, and the way that niece Fanny, among others, is enabling his hypochondria the way Mr. Woodhouse’s hypochondria is not challenged..
And…most telling of all is the overall intense happiness that suffuses the rest of the letter–this is one of the Haden letters,when Jane is deriving great pleasure from the stimulating company of Mr. Haden. If Henry were really ill, would Jane be mentioning his “illness” as an afterthought? And…recall finally that this letter is coinciding with the completion of the writing of Emma, and the great anticipation that Jane is experiencing re its imminent publication, and her enjoyment of London. So, without my realizing it yesterday, I see now that the echo of the ironic statement in MP about “hope for the best” is entirely intentional on JA’s part! Sarah, I love this post and this tribute to Austen on the anniversary of her death. Beautifully written, my friend. Thanks, Renée. I know how much you appreciate optimism! What a beautiful tribute to Jane Austen. The intertwining quotes….just brilliant. Yes, this is beautiful, and so beautifully done. What could be better than to reflect on these thoughts, on this day. And out of the commonplace of her letters (in which it is an almost lifetime effort to become fluent! ), you gently and skilfully excise a devastating line that is something one could live by: “we must think the best & hope the best & do the best.” Thank you Sarah – and Jane! All the best. Thank you for your kind words, Diana. I agree with you that it’s a devastating line. All the best to you as well. Thank you, Sarah, for this lovely post and tribute to Jane. It is especially meaningful to me as my father-in-law passed away this week. I love Jane’s quote “we must think the best, hope the best and do the best.” It’s a good one to tack on my quote wall to help me think more positively. It reminds me of another favorite quote from Philippians 4:8. I just looked up syringa. Gorgeous! I wish the screen could transmit smell! No wonder Austen could not live with out them. Wikipedia says that lilacs are often considered to symbolize love. Sweet. And in Greece, Lebanon and Cyprus they are associated with Easter. I’m sad to hear about your father-in-law, Sharon. My sympathies to you and your family. A lovely way to mark her death. Thank you, Sarah, for a truly inspirational post. Since JA was correcting the proofs sent by the printers, I associate this positive thinking with the publication of Emma and the optimism that runs through the book. Lovely syringas! I’m happy to hear that you liked it, Monica. Thanks for making the connection with the tone and the publication history of Emma. And, for what it is worth, two other Janeites responded to me in the Janeites and Austen L group and agreed with me that Jane was being ironic. It’s always fun tossing ideas back and forth with you!